Thanks for identifying with the ideas and the treatment of the creative for the GoGo squeeZ digital content spot. The purpose of this quick treatment with our tight timeline is to get in written form some of the ideas we discussed in the conference call, and also to put forth some visual thoughts. In moving away from the "feel good" idea of previous GoGo advertising, this new concept embraces the ideas of Playful, Imagination and Fun! They're the brand kids want to hang out with. The central theme of GoGo squeeZ as a "trade-proof snack" needs to come out in a playful, knowing manner, with a hint of edge but without moving into campy territory. 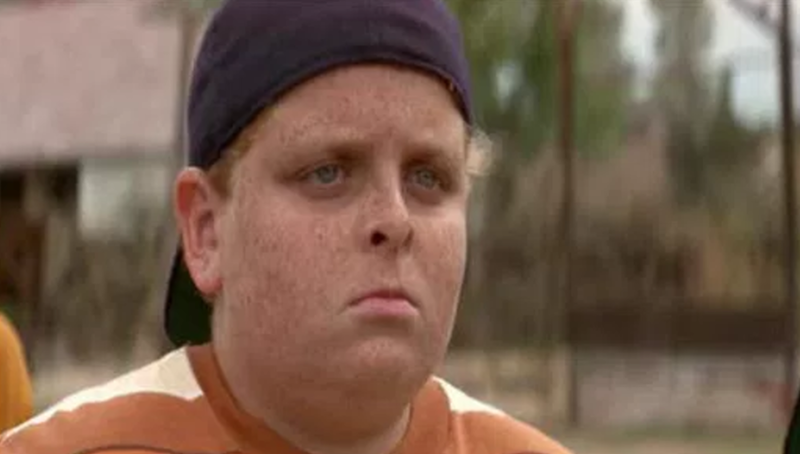 I take some inspiration from the bravado of the movie The Sandlot, from the trading in Tom Sawyer's "Whitewash Fence" chapter, and from my own experience seeing my son run a thriving (unsupervised) Pokemon card-trading empire in our neighborhood. The boys carry around various binders, folders, tins, and cards held in stacks by rubberbands. They then plop down, wherever the inspiration hits, to conduct the transaction. To convey this idea that GoGo squeeZ is for hip, fun, older kids too, I want to shoot this in a way that gives you the flexibility in post to push the envelope just a bit, but also is safely shot in full frame Ultra HD to give you options. I'm thinking of either the ARRI Alexa or RED camera systems, with Cooke or Sony lensing, shot in 4K so you can optimize the digital output of this spot. Alexa gives us nice people shots, it's the workhorse of the film and narrative TV industries. But the RED can be punchy and great for Commercials. Either option will work great for this project. Keeping this spot from getting too "Cut-heavy" and process orientated, the idea of shooting from three main angles, and then either using a fourth throughout, or waiting to reveal the fourth angle at the end, will allow for clean, effective viewing. This keeps the process editing from getting in the way of the story. Our first establishing shot either pans from overhead, or rack focuses down a line of kids waiting in line. The camera then locks or cuts to our overhead shot of Kid #1 and our Hero setting up a trade. The table we use will be longer than it is wide, and I'd like to shoot this with the Hero at the top looking down in frame, and the Potential Traders lined up at the bottom of the frame looking up. Overhead shots can be interesting to match-cut with more traditional angles, but by shooting the table this way it will give your cuts a very fluid feel going from Angle 1 to Angle 2, and then Angle 3. Shot from overhead with the edges of the table parallel with the edges of the outer frame. This keeps the style clean, crisp and focused on what we want our viewer to see. This angle will be shot in 16:9, but with a particular emphasis on the eyes of our Hero. We'll have him perform several individual "no" options, and then several more of his own creation, giving you the option in post to mix/match reactions to a specific barter offering. This framing is to show you how black lines added in post could help accentuate the eyes if you want to push the envelope, but we will still shoot safely for both. We use this angle anytime we see GoGo squeeZ or trade food being pushed forward. The first two are GoGo squeeZ shots from a 3/4 angle, but I see this being shot across the tabletop -- like in the apple-cutting shot below. The sequence in the middle of the spot where 2-3 more food options get pushed forward and our Hero responds to each gives us an opportunity to have some fun with the spot. As the client doesn't want to see too many Tupperware or Ziploc bags, maybe we take our Tom Sawyer trade inspiration and each kid has a different way of carrying their food (or perhaps hiding their food). Loose Twizzlers from a pocket, Potato Chips unveiled loose in a box, or several Chocolates thrown forward like dice on the table, the manner in which food is presented also can show some characterization or personality. The reactions of our Hero to these quick proposals are consecutive and open up the opportunity for fun responses: "No....No...Roll Eyes!" For the final scene, we go back to overhead as the music stops. Cut back to a confident female (or male, opposite of our Hero #1 would be nice) stepping forward from Angle 4. Cut to a shot of her Strawberry-flavored GoGo squeeZ pushed forward from Angle 3. Cut back to our Hero #1 in Angle 2. His eyes widen, he tries to stop it, but his poker face breaks. We cut to a top-angle of the successful exchange, then back to our final shots. I propose shooting several angles, depending on time, of this final scene. We can show the GoGo squeeZ being examined then lowered to reveal Hero #1 smiling. We can also shoot Hero #1 finishing up eating the GoGo squeeZ then looking at it with satisfaction. The cheers shot from above works well, before cutting to the logo screen or the shot from Angle 3 of consumed pouches being placed on the table. The location choice between a park and a house backyard have their pros/cons. A house can guarantee green grass, a non-picnic table would make more sense, and our Hero angles can have out of focus fences or borders in the background. The park makes sense for crew accessibility and space, and can help us get that unsupervised look, the key here is for the grass to be attractive and full/lush without being too shaded. We'll partner with a manager who can help us find the perfect location with a green, grassy unsupervised neighborhood feel. The key talent OCPs I see are obviously Hero #1 and Hero #2. I like the idea of splitting up their genders to gain maximum impact, but think we go with best two performers regardless of gender. We can always augment with a range of styles and personalities in our other Potential Trading Partners. We won't be focusing on much more than the upper part of their shirts and their hands, making their hairstyles and arm adornments the key areas to show personality. In addition to the Heroes, I see four other Kids we can cast, totaling an odd number of transaction opportunities at 5...the Fifth potential trade partner is the winner, becoming our Hero #2. While our GoGo squeeZ packages are the main focus and pre-supplied, there are a few other key areas where I see prop options playing on screen. First, the tabletop specs that align with GoGo's brand are great, and finding a rectangular table that isn't too wide and doesn't have picnic-table side benches is important for the framing of our trading partners. I see them standing for the transactions. In addition, I see this set during a summer day, so we'll replace what would have been bookbags and jean jackets with transportation vehicles: a longboard, a Bike or two, and Scooters. In addition, previously mentioned packaging options for the snacks will be part of the personality the Art Dept. can help convey. Summertime means tee-shirts, jerseys, tank tops and shorts. As mentioned we won't notice below the belt, but the arm adornments, hair, glasses and hats will help create the brand playfulness desired by GoGo squeeZ. There will be many more decisions and direction to come, but in interest of time I'd like to say thank you for choosing us to bid on this project, and I look forward to helping your creative come to life for the GoGo squeeZ "Trade Proof Snack" project!